Democrats are expected to confront the issue next week when they huddle to vote on a package of rules for the new Congress. Pelosi herself has not endorsed the term limits proposal but is “sympathetic” to it, according to a source close to the California Democrat. The idea to place limits on committee leaders’ tenure has faced stiff opposition from minority members, particularly the CBC. Because of the sensitivity of the topic, it’s one Pelosi has often avoided taking a position on in recent years. But if Pelosi were to get behind the idea, it could help buttress her efforts to become speaker by wooing some incoming freshmen. Pelosi is still short of the 218 votes she needs to regain the gavel on Jan. 3. The topic came up during two separate calls with House Democratic leadership and ranking members this week, according to multiple House Democratic sources. Pelosi said on the calls that the idea is being pushed by junior Democrats, from incoming freshmen to lawmakers who have been in Congress five terms or less. But several top Democrats spoke out against the idea, including incoming House Majority Leader Steny Hoyer (D-Md.). Reps. Jerry Nadler (D-N.Y.), Frank Pallone (D-N.J.) and Collin Peterson (D-Minn.), all likely chairmen in the Democratic majority, also voiced opposition. “This issue has come up in many meetings that Pelosi has had with freshmen and other newer Members,” the Pelosi source said. “It has come up repeatedly in the conversations Mr. McGovern has been having as part of his process to solicit suggestions for the rules package.” Rep. Jim McGovern (D-Mass.) is the top Democrat on the House Rules Committee. 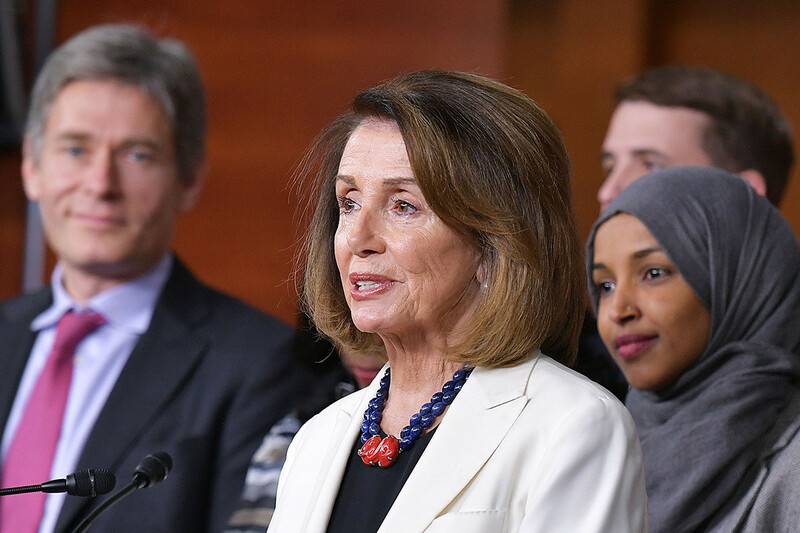 Several of those Democrats have signaled publicly and privately that they could switch their position if Pelosi would commit to serving one more term and then handing the reins to a younger leader. Pelosi has publicly dismissed that idea, saying she will not put an end date on her tenure. Still, the push to adopt term limits — and where Pelosi falls on the issue — isn’t without potential peril. In the past, the CBC and the Congressional Hispanic Caucus have fiercely objected to any suggestion of limits for committee leaders. The issue is very sensitive within the caucus. When Democrats took back the majority in 2009, they voted to scrap six-year term limits for committee chairmen. Pelosi has mostly avoided taking a position on the issue since then — even when pressured to do so — saying it’s up to the will of the caucus. The change, if enacted, would allow for much more churn at the top, giving younger members the opportunity to lead influential committees without having to wait decades to do so. And the move could alleviate some pressure on Pelosi and her two deputies — all of whom are approaching 80 years old — to step aside soon.